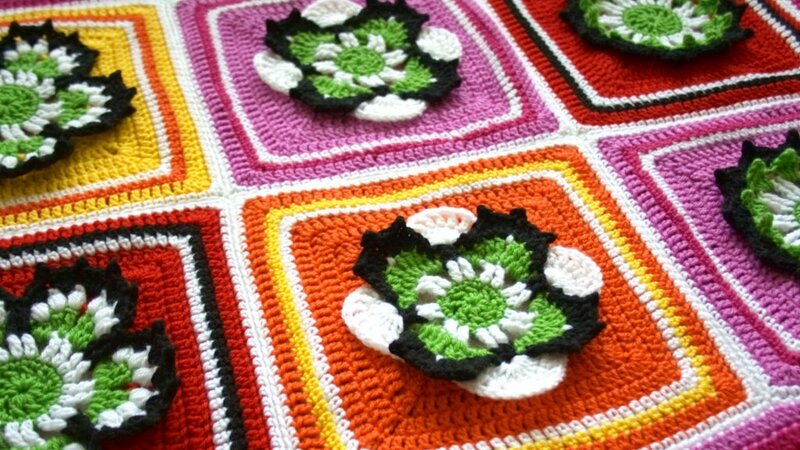 The design comprises 5 floral blocks which are joined together to make really cosy blanket. Once joined we’ll be working a nice wide border with a pretty frill. 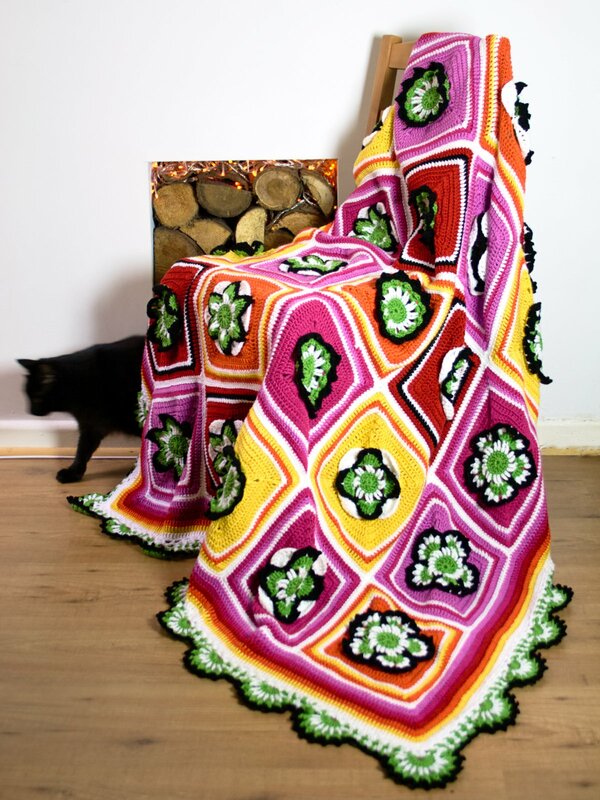 The completed blanket will measure approximately 147 cm x 147 cm (58″ x 58″). The yarn is Deramores Studio DK and I recommend a 4mm (G size) crochet hook. 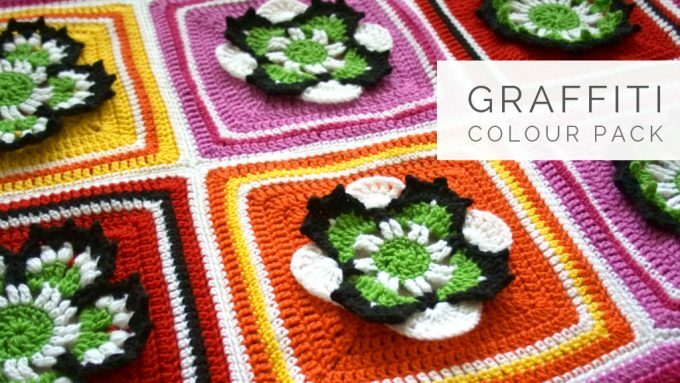 The pattern will be available in both UK and US crochet terminology. There’ll be plenty of helpful photos included in the patterns too. Seize the Daisies CAL is an intermediate skilled pattern. Any special or tricky stitches will be explained in the patterns along with some helpful photographs. If you get stuck along the way I’m here to help so do get in touch. When does the Seize the Daisies CAL start? The first part of the Seize the Daisies CAL will be released on 13th September over on the Deramores blog. Do pop over and read the welcome blog post where you’ll find a Introduction PDF for the CAL. Check out my Seize the Daisies CAL page for all the links you’ll need and we also have a dedicated Facebook page where you can keep up-to-date as the patterns are released and share your progress. I’ve picked two very different colour packs for the CAL. One very bright palette and one in sophisticated and elegant wintry tones. 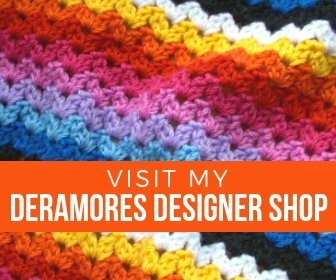 I hope that you like them but if you are picking your own colours I do recommend you use Deramores Studio DK yarn as that’s what the patterns have been designed in. The Graffiti colour pack is really bright and cheerful. The colours are vibrant and the flowers worked in green, white and black really stand out. Shop the Graffiti colour pack here. Winter is Coming uses deep blues, turquoises and greys for a very sumptuous palette. 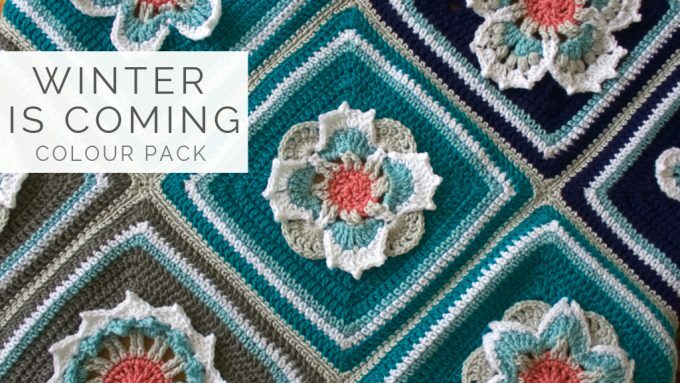 Each flower is worked in frosty colours giving the whole blanket a very wintry yet elegant look. Shop the Winter is Coming colour pack here. So, shop the colour pack you fancy and get your hooks ready! If you have any questions just drop me a line or post on our Facebook page – Deramores: The Projects. 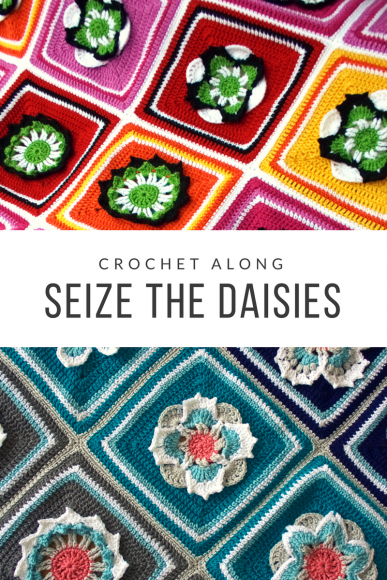 Spiky Waves ThrowSeize the Daisies Crochet Along – Updates!